is the third American studio album by The Rolling Stones, released in 1965 by their initial American distributor, London Records. The album contained seven tracks from their second UK album The Rolling Stones No. 2, the recent US Top 20 hit "Heart of Stone", and other songs which would appear on the UK edition of the Stones' next album Out of Our Heads later in 1965. "Little Red Rooster", a recent #1 hit single in the UK, was also included as well as "Surprise, Surprise", which would not see a release in the UK until 1970. Four of the songs on The Rolling Stones, Now! were penned by the songwriting team of Mick Jagger and Keith Richards (who dropped the "s" from his surname until 1978). 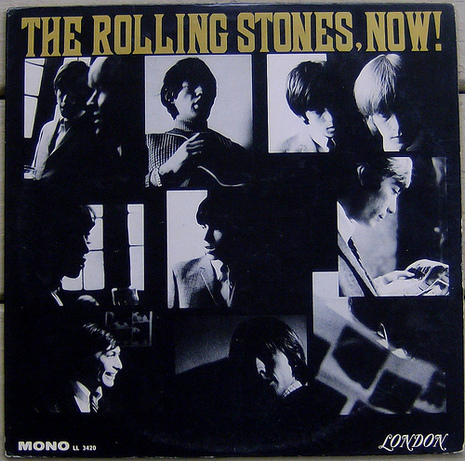 For the back cover, London Records simply took the back cover of The Rolling Stones No. 2 and amended the tracklisting and label information. Where the UK liner cover said "No. 2" after 'THE ROLLING STONES' was simply whited out for the American cover. One thing that was overlooked, however, was a mention of Ian Stewart playing organ on "Time Is On My Side," which made no sense on The Rolling Stones, Now! as the song was not on that album. This credit was deleted from the 1986 and 2002 reissues. The Rolling Stones, Now! is generally considered a very strong album and a highlight of their early American releases. Upon its February issuing, The Rolling Stones, Now! reached #5 in the US and became another gold seller for The Rolling Stones. In 2003, the album was ranked number 181 on Rolling Stone magazine's list of the 500 greatest albums of all time. In August 2002 The Rolling Stones, Now! was reissued in a new remastered CD and SACD digipak by ABKCO Records. This version included stereo mixes of "Heart of Stone" and "Down the Road Apiece"
Although their third American album was patched together (in the usual British Invasion tradition) from a variety of sources, it's their best early R&B-oriented effort. Most of the Stones' early albums suffer from three or four very weak cuts; Now! is almost uniformly strong start-to-finish, the emphasis on some of their blackest material.